The Actors Who Could've Been THE AVENGERS: Redux | Warped Factor - Words in the Key of Geek. 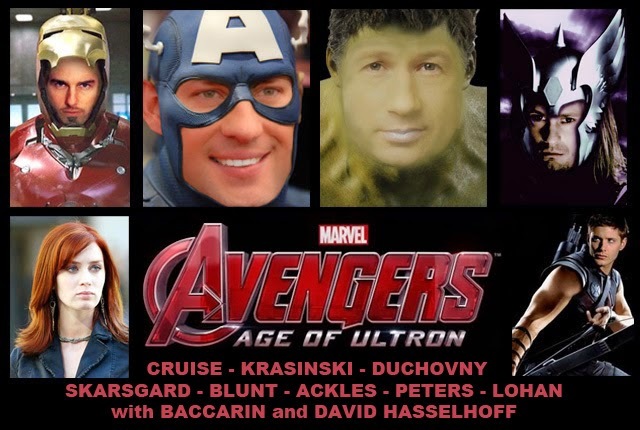 With some new additions joining for Age of Ultron, I thought the time was right to add to the collection of actors who could've been The Avengers. As with just about every movie made, before the lead actor(s) are cast there are many more that audition or are considered for the role. Sometimes the person we see on screen and admire might not have been the studios first choice. So let's take a look at some of the actors and actresses who, if things had played out differently, could've ended up playing the lead roles in The Avengers: Age of Ultron. Iron Man didn't arrive on our screens until 2008, but the movie had been in development (in one form or another) since 1990. The closest it came to happening was in the mid 90s when 20th Century Fox held the rights. At first Nicholas Cage's name was linked with the role, but he fell by the wayside when Tom Cruise expressed interest in both starring and producing. A script was written, and re-written, and rejected. In 1999 Fox made one last bid to get an Iron Man movie made and approached Quentin Tarrantino to write and direct it. Cruise & Tarrantino?? That would've been an interesting combination! Other actors considered for the part of Tony Stark/Iron Man include Timothy Olyphant, Hugh Jackman, Clive Owen and Sam Rockwell. Many actors were linked with the role of Steve Rogers/Captain America, including Garrett Hedlund, Channing Tatum, Scott Porter, Mike Vogel, Wilson Bethel, Michael Cassidy, Chace Crawford, Jensen Ackles (won't be the last time his name pops up), Ryan Phillippe and Sebastian Stan, who ended up being offered the role of Bucky Barnes instead. But before Chris Evans won the part many news sources were reporting that John Krasinski (Jim from the US version of The Office) had it in the bag and it was basically his to lose. Lose it he did! After Eric Bana wasn't invited to reprise his role as Bruce Banner for the 2008 movie The Incredible Hulk, several names were linked with the part of the Hulk's alter-ego. The man who would play him in The Avengers, Mark Ruffalo, was an early contender, but it seems as if the producers narrowed the choice down to two actors. Edward Norton and David Duchovny. Norton won the day. After it was announced that Norton would not be returning for The Avengers, Joaquin Phoenix was briefly considered to play the temperamental doctor. 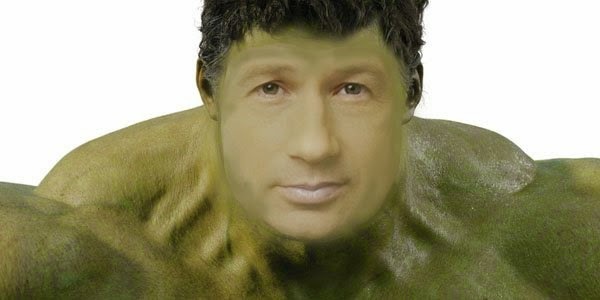 Incidentally, back in the early 2000s as Ang Lee was casting Hulk, Jeff Goldblum was in consideration for the part of Bruce Banner. "You wouldn't, uh, like me when I'm angry". You can't beat a bit of Goldblum! Throughout the many years of development a wide variety of actors have been linked with the character of Thor. One of the earliest was Canadian actor Tyler Mane, there was also a time when Brad Pitt's name was attached to the movie, along with Channing Tatum and WWE wrestler Paul Levesque (aka Triple H). When Matthew Vaughn was on board to direct the project, Daniel Craig was said to be his first choice. It's well known that Tom Hiddleston originally auditioned for Thor, along with Chris Hemsworth's brother Liam, but you may not know that both Charlie Hunnam and Joel Kinnaman screen tested for the part as well. In an interview with MTV True Blood's Alexander Skarsgård revealed he was also in the running, and by the sound of it thought he had a very good chance. 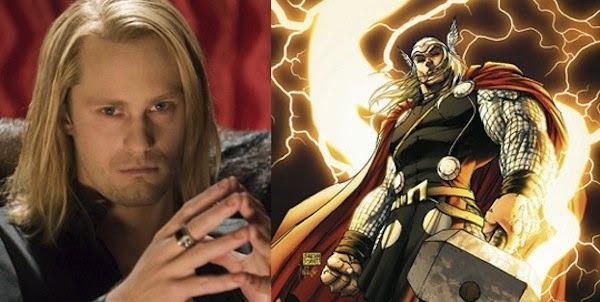 He met several times with director Kenneth Branagh and Marvel head Kevin Feige, and screen tested in the full Thor costume. The MTV reporter said to him he thought Skarsgård should've won the role as he had the perfect look for Thor, Skarsgård responded "So did I." Whilst casting Iron Man 2 the actresses considered for the part of Natasha Romanoff/Black Widow include Jessica Biel, Gemma Arterton, Natalie Portman, Jessica Alba, Eliza Dushku and Angelina Jolie. Emily Blunt was offered the role before Scarlett Johansson, but conflicting schedules with the filming of Gulliver's Travels meant Blunt had to turn the part down. And what a classic Gulliver's Travels was, eh? As we mentioned earlier, before the part was offered to Chris Evans, Jensen Ackles name was linked with the role of Steve Rogers in Captain America. Ackles later denied any involvement with the project, but multiple news sources claimed that he had auditioned for the part and was well liked by Marvel. So much so that Marvel later came back to Ackles to discuss the possibility of joining their cinematic universe as Clint Barton/Hawkeye in The Avengers. It seems likely that Ackles couldn't have taken the role even if it was offered because of commitments to Supernatural. 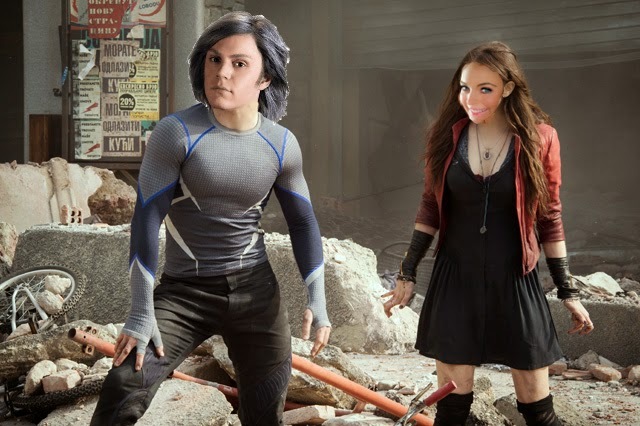 The two new additions for The Avengers: Age of Ultron come in the form of brother and sister team Pietro and Wanda Maximoff, aka Quicksilver and Scarlet Witch. Although it was likely never seriously considered, both Mark Miller and Hugh Jackman were rooting for X-Men: Days of Future Past Quicksilver, Evan Peters, to also play the character in Age of Ultron in an attempt to bring the two franchises a little closer. The time wasn't right, but with Sony and Marvel recently agreeing terms over Spider-man, it's just possible that if this movie was going into production now a similar agreement with Fox may have been possible. As for Scarlet Witch, Saorise Ronan, Sasha Pieterse and Lindsay Lohan (!) all read for the part. 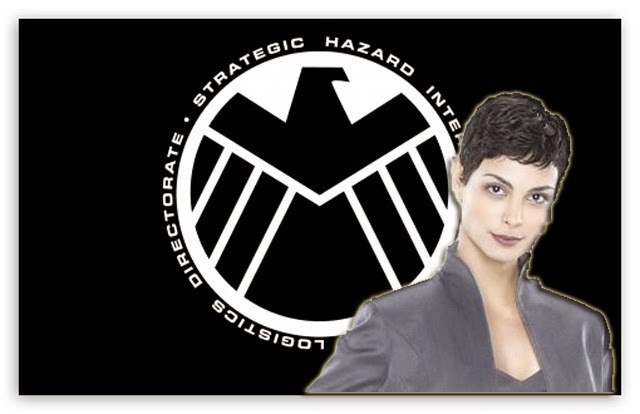 Josh Whedon considered his Firefly star Morena Baccarin for the part of S.H.I.E.L.D. Agent Maria Hill, as well as screen testing Jessica Lucas, Lindsay Lohan (her again), Amanda Peet and Mary Elizabeth Winstead, before Cobie Smulders was eventually cast. They didn't need to cast Samuel L Jackson because Marvel already had their Nick Fury. David Hasselhoff starred in the 1998 movie Nick Fury: Agent of Shield - it get's a whopping 3.6 on IMDB. Hasslehoff has always been keen to resurrect the role. Maybe he was just too busy on a musical tour of Germany when Marvel called?